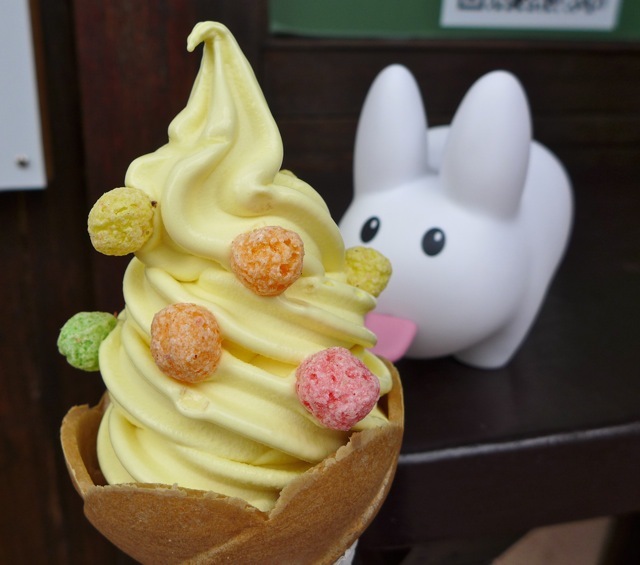 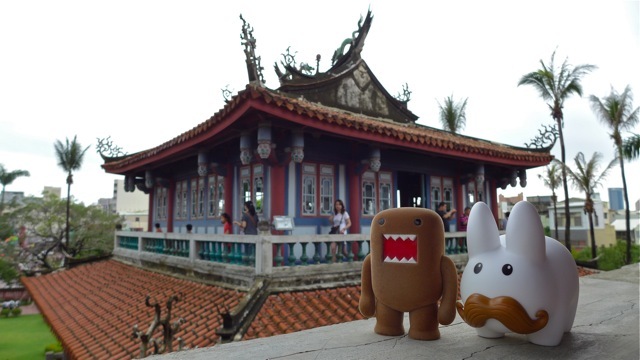 After their visit to Sun Moon Lake and the Night Market, Pipkin and Domo continued south in Taiwan to Tainan, Taiwan's oldest city. 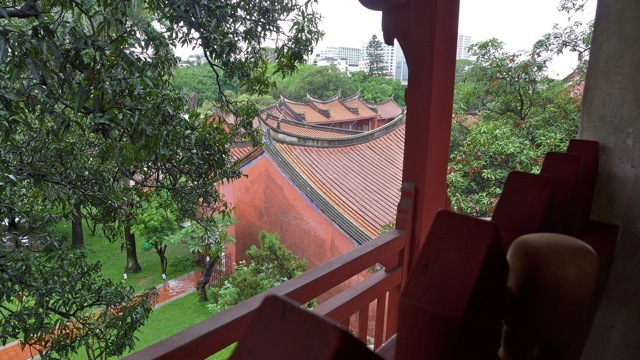 Originally the capital of Taiwan during Dutch rule and after Dutch colonists were defeated in 1661, Taipei then became the capital after 1887. Tainan, having gone through several renewals and comebacks, earned the nickname "The Phoenix City." 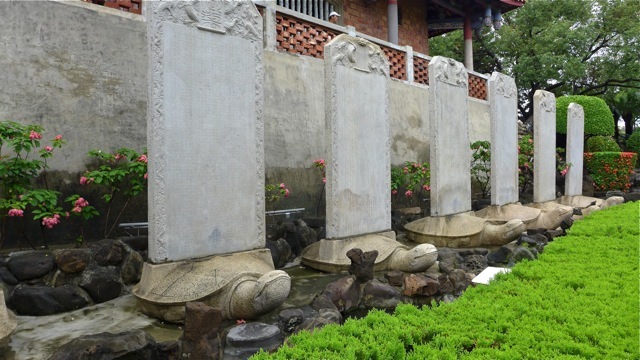 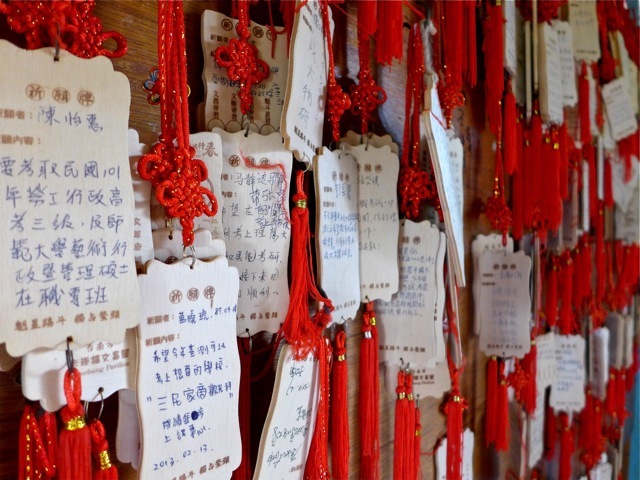 It's known for its old cultural rituals, its temples and the first Confucian school, established in 1665. 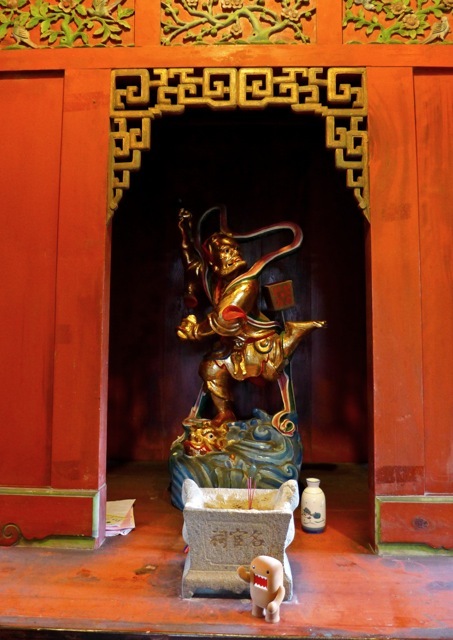 Above, Pipkin and Domo stand in the doorway of one of the Confucian school temples. 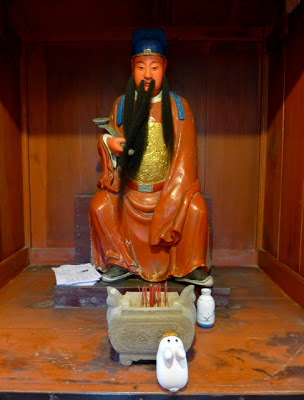 They climbed the steep steps inside this shrine, dedicated to Confucius' ancestors and lit some incense. 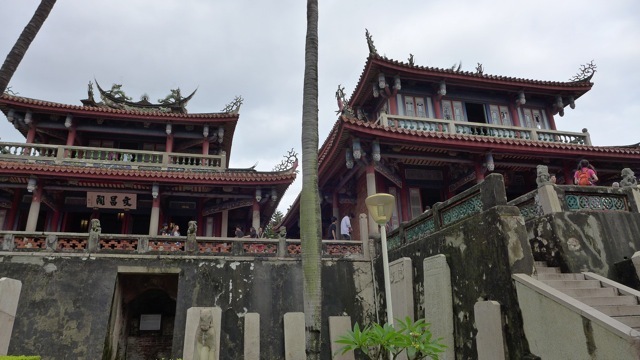 After checking out the view from the top, they visited Old Fort Provintia, a Western fort built when the Dutch colonized Taiwan. 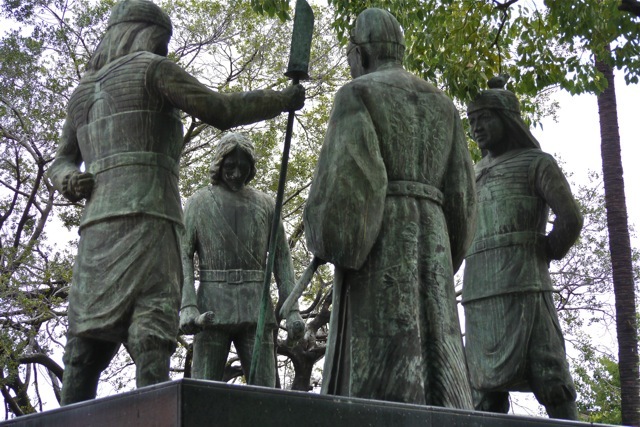 The fort was surrendered when the Dutch were defeated, and there's a rather humorous statue of the Dutch General looking rather, well, defeated, as he surrenders to Koxinga. 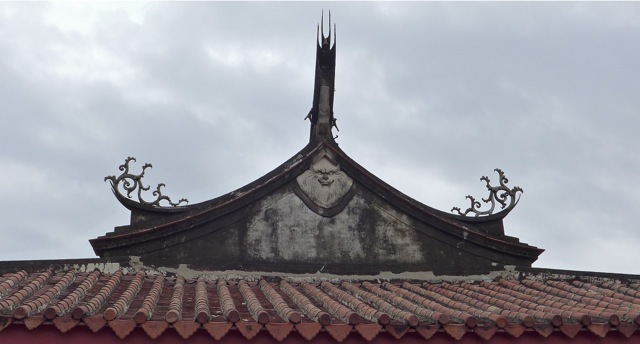 You can see the old fort walls underneath the Chinese styled towers built when they took over the fort. 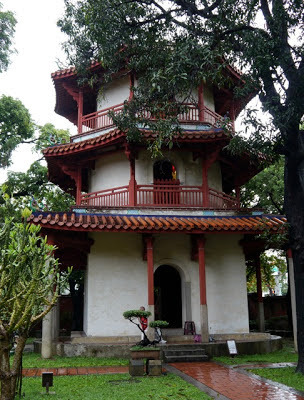 Today Old Fort Provintia is known as Chihkan Tower. 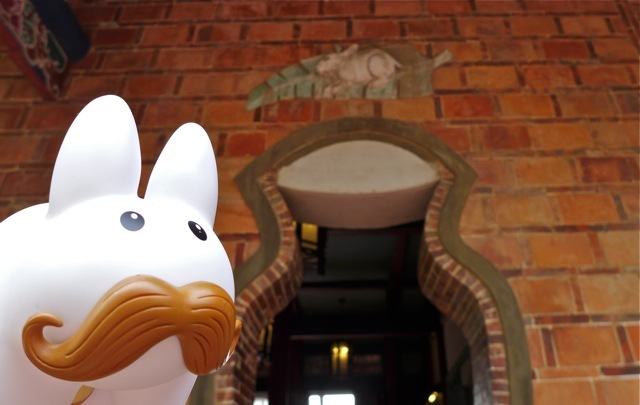 Pipkin liked the turtles holding up plaques, the white rabbit over this doorway, and the grinchy looking character on the roofline.